Last September, we warned that a man who had recently been discharged from parole for robbing a victim in Boystown had returned to the neighborhood and had been arrested again for stealing a woman’s purse. “Let's give a warm ‘Welcome Back’ to Keith Sandifer,” we wrote. 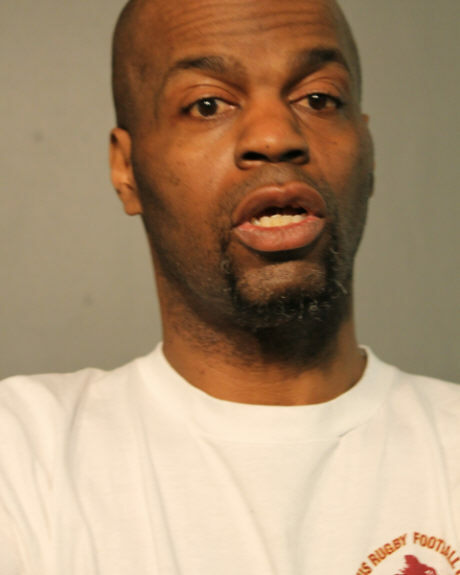 Welp, early Saturday morning, 49-year-old Sandifer was arrested in Boystown. He’s now charged with pushing a man to the ground and going through the victim’s pockets while implying that he had a handgun. It all happened in the 800 block of West Cornelia—just a block from the robbery that sent Sandifer to prison in 2012. Shortly after 3 a.m., a Boystown resident called 911 to report hearing a man screaming for help near Halsted and Cornelia. Cops found the victim nearby and tactical officers had Sandifer in custody within minutes at Halsted and Addison. He was positively identified as the robbery offender, police said. Sandifer is charged with felony robbery-indicating the presence of a firearm. Judge Mary Marubio ordered him held without bail on Sunday. Back in 2012, Sandifer was arrested after mugging a victim in the 700 block of West Cornelia. He was sentenced to six years. Last September, security at Replay, 3439 North Halsted, detained Sandifer after he allegedly stole a woman’s purse and headed for the door. He was charged with theft. The status of that case was not immediately available on Sunday. Exclusive, original reporting for the Boystown area. We can only do it with your support. Subscribe for just $49 a year or $5 a month to receive members-only reports and services. Or, name your own amount. The choice is yours. Thanks so much!